Promoting village land use planning is one way of securing the future of Tanzania’s rangelands (photo credit: ILRI/Fiona Flintan). Key recommendations whose implementation will ensure the sustainable and conflict-free use of rangelands in Tanzania were proposed last month following a national dialogue of land sector stakeholders in the country. 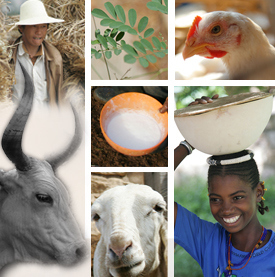 harmonizing the ongoing policies to promote livestock and wildlife co-existence in rangelands. The national dialogue took place in Morogoro town on 26-27 February 2018. It was attended by 36 representatives mainly from civil society, and non-governmental organizations working in rangelands. Participants developed key recommendations and policy statements that will be presented at a high-level meeting with the government later this year. 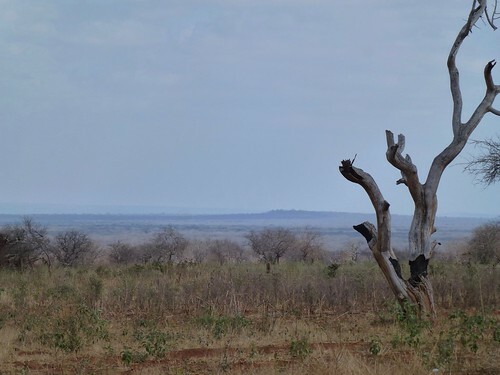 ‘It is important to have a common vision for the future of pastoralism in Tanzania if pastoralism is to survive as a land use system’, said Ole Adam Mwarabu, co-chair of the NES Rangelands Working Group of Tanzania’s National Engagement Strategy (NES) on land. the need for harmony in legal frameworks such as the Wildlife Conservation Act No 5 of 2009 and the Village Land Act No 5 of 1999. The dialogue was organized by the International Livestock Research Institute (ILRI)-led Sustainable Rangeland Management Project (SRMP), the Ministry of Livestock and Fisheries, the National Land Use Planning Commission, and local civil society organizations including the Agricultural Non-State Actors Forum (ANSAF), the coordination unit of NES and the NES Rangelands Working Group. NES is supported by ILC as a structure and process through which ILC members and partners can mobilise, connect and influence land issues at national level. SRMP aims to improve rangeland management through securing grazing land and the development and implementation of rangeland management plans. It is implemented by ILRI in collaboration with the Ministry of Livestock and Fisheries and the National Land Use Planning Commission. It is funded by the International Fund for Agricultural Development, Irish Aid, ILC, ILRI and the Government of Tanzania. Tags: ILC, national dialogue, SRMP. Bookmark the permalink. Very important to insure protection of rangeland for insuring continuous availability of good pastures.